What is Time and is Time an Illusion? We tend to believe that destiny is not fixed and that all time past fades into oblivion, but can the movement be a mere illusion? A renowned British physicist explains that in a special dimension, time simply doesn’t exist. 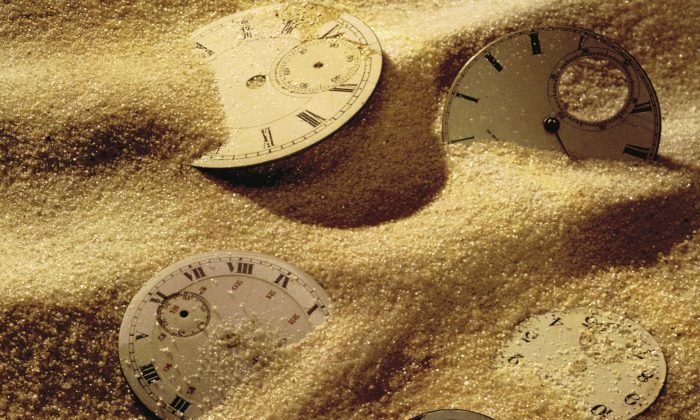 “If you try to get your hands on time, it’s always slipping through your fingers,” said Julian Barbour, British physicist and author of “The End of Time: The Next Revolution in Physics,” in an interview with the Edge Foundation. While this poetic statement still resonates in the room, Barbour and the journalist probably do not have any connection with their own selves a second ago. Barbour believes that people cannot capture time because it does not exist. While this is not a new theory, it has never had the popularity that Einstein’s theory of relativity or the string theory has had. The concept of a timeless universe is not only irresistibly attractive to a handful of scientists, but such a model may pave the way to explain many of the paradoxes that modern physics faces in explaining the universe. We tend to think and perceive time to be linear in nature, the course of which inevitably flows from past to future. This is not only a personal perception of all humans, but also the context in which classical mechanics analyzes all mathematical functions within the universe. Without such a concept, ideas such as the principle of causality and our inability to be present simultaneously in two events would begin to be addressed from a completely different level. The idea of the discontinuity of time proposed by Barbour attempts to explain in a theoretical context a universe composed of many points he calls “now.” But such “nows” would not be understood as fleeting moments that came from the past and will die in the future; a “now” would only be one among the millions now existing in the eternal universal mosaic of a special dimension impossible to detect, each one related in a subtle way to the others, but none more outstanding than the neighboring one. They all exist at the same time. With such a mix of simplicity and complexity, Barbour’s idea promises a great relief to anyone who is willing to accept the lack of time before the Big Bang. Barbour thinks the concept of time might be similar to that of integers (whole numbers). All numbers exist simultaneously, and it would be insensible to think that the number 1 exists before the number 20. Assuming that the chocolate in the center represents us, we would believe that our slice is the only one existing in the universe, and that the anterior and posterior slices exist as concepts only. This idea would sound ridiculous to an observer of the custard, who knows that all slices exist together. Taking this example, you could say that “I” am not the same person who began writing this sentence. I’m unique, perhaps in apparent connection with each of the subjects who wrote the words earlier in this paragraph. Still, even the endless “nows” independent of each other would not be dispersed. They still make up a structure. They are a block, a whole custard with no crumbs. And this is Barbour’s theory: In a space of the cosmos, the future (our future) is already there, deployed, and every second of our past is also present, not as a memory but as a living present. The most painful thing to humans, like Eastern philosophies outline, would be to try to break the fixed mold. Most of us are deeply convinced that at an unconscious level, a great cosmic clock is ticking out every second of this huge space called the universe. However, early in the last century, Albert Einstein had already demonstrated that temporal reality is relative to each object in the universe, and that time is a “subject” inseparable from space. Even specialists who synchronize time in the world are aware that the world is handled by an arbitrarily stipulated ticking, as clocks are not able to measure time at all. Brad Lesley dies: Baseball player and actor perished over the weekend, his ex-wife told TMZ.